The book points out that each step in the title clerk process is required and designed to protect the dealership, its reputation, franchise agreement, cash flow and CSI scores (customer satisfaction index) and serve the customer promptly. “This process alone is a huge step in creating satisfied customers who return to the dealership and give referrals,” Skaggs said. Skaggs’ company 50 State DMV provides vehicle title and registration processing services for automotive dealers, corporate fleets, financial institutions and other businesses that require vehicle title and registration services throughout the United States. She formed the company to offer solutions to dealers facing title and tag problems and to provide educational tools, including online vehicle title clerk training as well as on-site training. The book points out that each step in the title clerk process is required and designed to protect the dealership, its reputation, franchise agreement, cash flow and CSI scores (customer satisfaction index) and serve the customer promptly. This process alone is a huge step in creating satisfied customers who return to the dealership and give referrals. Last November, Skaggs was recognized by the International Association of Women (IAW) as a leader in entrepreneurship and a 2018-2019 Influencer. The IAW is a global organization with an online networking platform with nearly one million members. 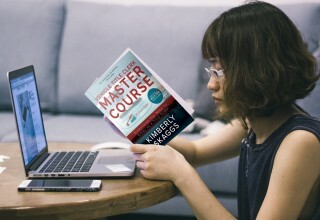 “My company and my book are natural extensions of my goal to play an integral part in advancing the automotive industry by continuing to create clear and concise instructional materials and making them available to those that need it the most, saving dealerships frustration, time and money while enhancing the customer experience,” Skaggs said. 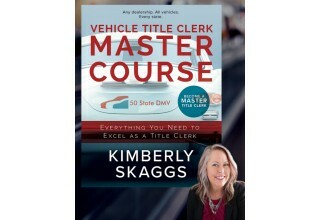 Skaggs will be autographing her book and including it in gift bags distributed to current clients and active dealers that sign up before or during the 2019 National Automobile Dealers Association (NADA) Expo in San Francisco Jan. 24-27, 2019, at Moscone Center in 50 State DMV’s booth #7436W, West Hall, Level 2. 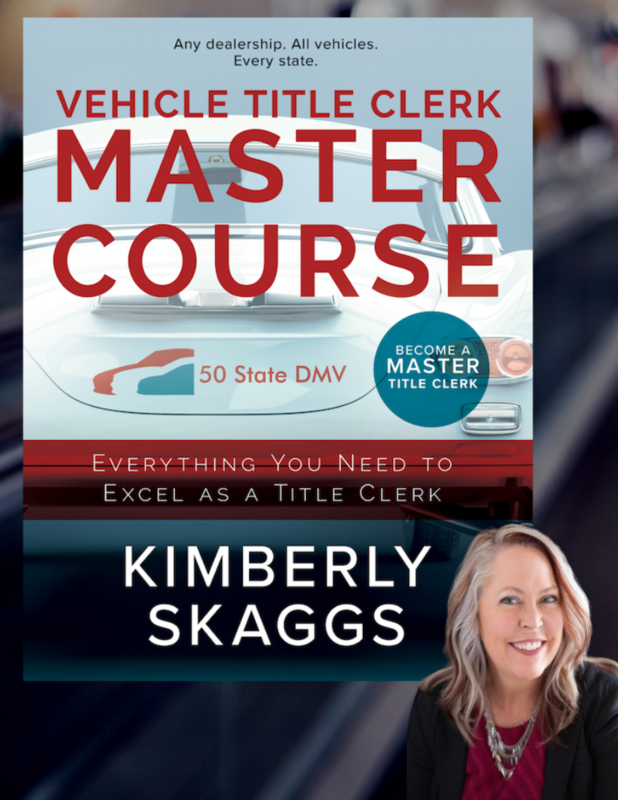 Vehicle Title Clerk Master Course: Everything You Need to Excel as a Title Clerk by Kimberly Skaggs is available at 50StateDMV.com and wherever books are sold. 50 State DMV a title, registration and education agency for auto dealers, corporate fleets, financial institutions and other businesses that require vehicle title and registration services throughout the U.S.